Vote forWagga Wagga, NSWTop Regional Destinations Which are Australia's must-visit destinations? You help us decide. Located in central New South Wales, Wagga Wagga is the state's largest inland city with a population of more than 62,000 people. With a name recognised around the country - "So nice they named it twice" - Wagga Wagga is a viable travel destination for multiple reasons ranging from its floral beauty to its up-and-coming culinary scene. As the largest inland city in New South Wales, Wagga Wagga offers visitors a range of things to see and do. One of the most popular reasons for visiting Wagga is to see its award-winning gardens and parks. There are a number to explore spread around the city including the Wagga Wagga Botanic Gardens and Victory Memorial Gardens. If these plants aren't the kind to satisfy your travel needs, then perhaps some of the vines at local wineries will suffice. Wagga is home to seven wineries and microbreweries guaranteed to quench your thirst. Located in the popular Riverina region, Wagga is becoming increasingly popular amongst inland travellers due to its natural beauty. For the outdoorsy types, there area number of scenic walking trails that wind around the region as well as some well-worn driving tracks taking you to some of the surrounding attractions. A destination without all of the bells and whistles that its neighbour Canberra has, Wagga Wagga is an ideal location for those looking to escape. A laid back, relaxed town a visit to Wagga Wagga will be one to remember. Set on the banks of Murrumbidgee River, Wagga Wagga is filled with a rich history dating back to its original inhabitants, the Wiradjuri tribe who were the largest tribe in New South Wales. The name Wagga Wagga was derived from the native tongue, Wagga which means crows and the plural meaning many crows. Once you've been in Wagga for at least a day, you'll understand the importance of a regional community where friendly faces are always popping up and a conversation is as easy to strike up as a match. Looking to pay a visit to Wagga Wagga but not sure what to do? Here are some of the most essential experiences. What's new in Wagga Wagga in 2016/2017? The excellent Coolamon Cheese Factory opened in 2016 and provides opportunities for tasting delectable Australian native cheese blends. Gears and Beers and Fusion Multicultural festivals are great temporary entertainment designed to appeal to the younger visitor to the Wagga region. Haran's Patisserie provides some wonderfully creative and delicious spins on the standard cake formula ideal for those celebrating special occasions. The Marrambidya Wetland is a stunning 20 hectare reserve located alongside the Murrumbidgee River that was officially opened in 2016 and serves as a lovely habitat for a wide variety of native wildlife. 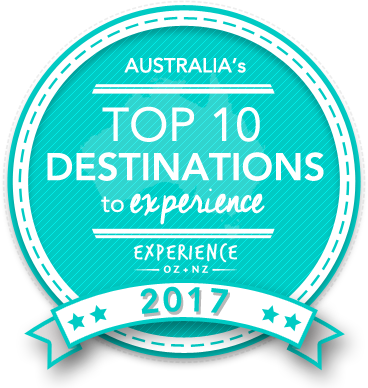 Is Wagga Wagga Australia's Top Regional Destination to Experience for 2017? Vote now for the chance to WIN an epic trip to one of Australia's top destinations!